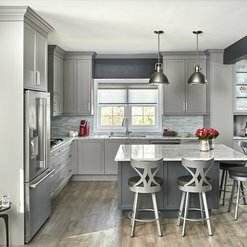 Specializing in all aspects of stylish kitchen, bath, accessories cabinetry and custom designs, Parand Design is your one stop shop to build your dream house the way you like. From the simplest, through most advanced and professional designs, we are dedicated in offering you the highest level of customer service and products to satisfy even the most demanding requirements. Parand Design is a proud member of Irpinia’s family. The Irpinia name has been recognized since 1960. 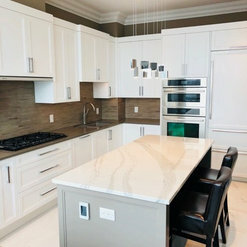 Over the years Irpinia Kitchens has evolved into a cabinet manufacturer with focus on quality and fine detail, serving a network of dealers and clients both in Canada and internationally. Kamal of Parand Design is a true professional. We recently completed a 3-phase project including a laundry room relocation, basement remodel and built-in desk installation and we could not be happier with the outcome. From our first meeting through to completion, Kamal was very responsive, detail oriented, creative and he listened to his customer. Kamal takes a hands-on approach and created significant value in our minds - AND he delivered on time and on budget! 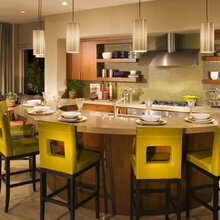 We would not hesitate to recommend the services of Parand Design to anyone considering home renovations. It was a pleasure working for you! I am so proud to read all these kind words! It is always a pleasure working with you on your project! Kamal was extremely professional, knowledgeable and punctual! We are extremely happy with our new kitchen and owe it to Kamal and his creative vision. He holds the highest standard in the industry and is an efficient problem solver. He is kind and listens to and understand our needs. It was a pleasure to be part of your project. Thank you so much! I did my job and I love what I do! Earlier this year, I decided to completely gut my recently purchased condo. Although the condo was only three years old, I wanted to make it my dream home and Kamal Moshg from Parand Design helped me realize my dream. In fact, the finished product far exceeded even my vision. 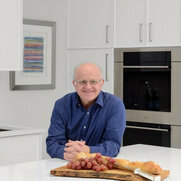 I interviewed 5 kitchen/bath designers before meeting Kamal. I just didn’t connect with any of the others. I knew immediately that Kamal would oversee every detail of the project and he did just that. No detail was forgotten. He took my ideas for design and made them happen. He cautioned me when he believed that something wouldn’t work but he always found a better way. 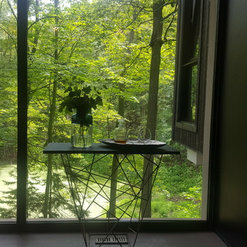 He was present for every step of the installation process and even consulted on my choices of countertops to make sure that I understood the pros and cons of each material. Kamal is a very smart man and also a very nice man. You will not go wrong with Kamal and Parand Design. I agree with an earlier reviewer – if I could give him a 10, I wouldn’t hesitate!!! Thank you so much for writing this awesome review. We have done our job and I love what I am doing. 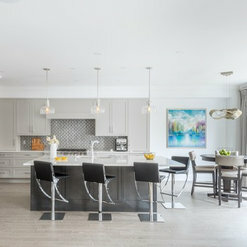 If I could give Kamal a 10 I would but Houzz's highest rating is a 5 so that's what I've given. 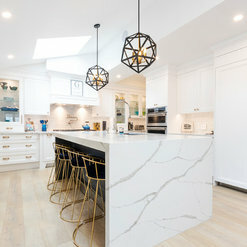 As a designer I've worked with Kamal on a few clients' projects which always went well but recently I had the pleasure of working with him on my own brand new kitchen and I must say I am thoroughly impressed with not only the quality of my cabinetry but Kamal's second to none customer service. He was with us every step of the way including during the installation process always checking in to ensure things were going smoothly. I can't say enough good things about Kamal and his dedication and attention to detail. My kitchen is absolutely stunning and functional at the same time. I will continue to refer Parand Design to all of my clients as it's always a pleasure working with Kamal and the Parand Design team! Thank you so much for the review and all the kind words you did wright about me! It was a pleasure to be part of your beautiful project. Working with Kamal and his professionalism is a pleasure. He has a very high standard for quality and customer service. Projects are installed on time and expertly. Thank you Kamal for always being available and for making my job so much easier. 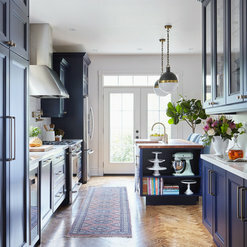 Your cabinetry is beautiful! I worked with Kamal at Parand for my kitchen renovation and he was amazing! I knew I needed a quality team, as my kitchen was going to be featured in a magazine (Style At Home - June 2018), so it had to look great. Kamal and his team were incredible and went above and beyond to ensure my kitchen turned out perfectly. I cannot say enough good things about Parand, I have worked with them since, and will continue to do so. 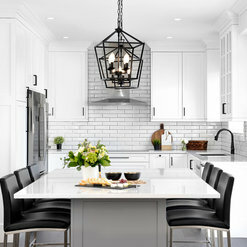 I highly recommend Parand to anyone needing a new kitchen! 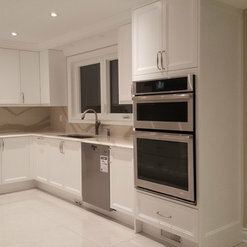 Parand Design did an excellent job on our kitchen renovation. Their employees were extremely capable and professional when working in our condominium. 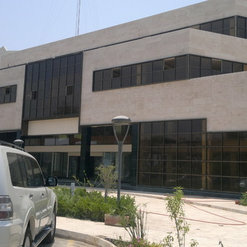 Deadlines were adhered to in each phase of the project. We are thrilled with our new kitchen! Thank You so much for the review and the kind words! Extremely happy with my new kitchen and custom bath vanity. 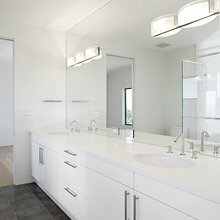 Kamal Moshg and his team are true experts delivering on consult, design, and delivery/installation. I most definitely recommend Parand Design for quality work, friendly service, and professionalism and will use them again. Absolutely love my new kitchen and custom bath vanity. 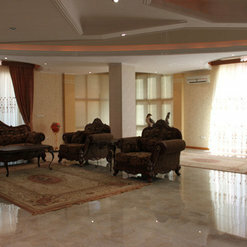 Kamal Moshg and his team are true experts delivering consult, design, and very timely installation. I most definitely recommend Parand Design for quality products, friendly service and professionalism. I've worked with Parand Design on three projects this year and I'm always confident that my clients will be happy. Kamal's product knowledge, design sensibility, customer service and attention to detail are fantastic and the installation always exceptional. I'm looking forward to working on more projects in the future. Highly recommend. 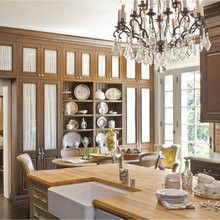 We used Parand for our kitchen cabinetry, dining room sideboard, and living room built ins. Kamal was exceptional. His attention to detail, customer service and professionalism was off the charts amazing. I would make the same comments regarding our installer Dennis. We couldn't be happier with our kitchen and cabinetry. We would highly recommend them. Commented: What colour white are these cabinets?Just white!